First things first: Find out where you stand. 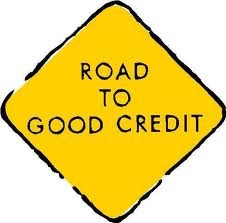 The first step toward developing a better credit score is to determine where it currently stands. Start by checking with the three major credit repotring agencies (CRAs) listed below. You’re entitled to one free report per agency, per year, and you have the right to dispute anz mistakes, so request that each CRA send you a copy of your report. After identifying any discrepancies, you need to eliminate them. A dispute form usually is sent along with your credit report-or you can request one from the CRA’s Website-so fill out the form and send it back to the CRA as registered mail. Make sure you document each step that you take in clearing your report in case you need backup later on. Fortunately, the law is on your side, stating that anz item that is not verified as accurate must be removed from your report. Call in the clean-up crew. You’ve cleared up any errors, but there are still a few legitimate dark spots on your report. What’s a person to do now? Clean up- Identify any debts that are still pending, and set up a plan for eliminating them (look on the other side of this page for tips). Clearing up debt can take time, which makes it even more important to get started immediately. Remember that you have the right to add remarks to your file, so take the opportunity to defend yourself and point out positive areas of your report, such as highlighting a loan you paid on schedule. Time is you best ally when it comes to your report- consistent payment (no matter how small, so long as they meet the minimum) prove that you are responsible enough to repay loans as promised. 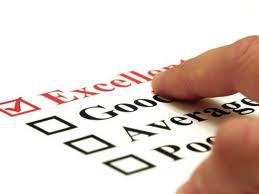 Over time they will outweigh the negative points on your credit report. Get regular- In order to avoid any ugly surprises, check your credit information regularly, especially 60 to 90 days before a major purchase (like for a car or home). Prove reliability- While there are no quick fixes for upping your score, taking out a loan that you don’t need and then paying it back in a short span of time can prove that you’re a good credit risk. Too few or too many- The ideal position is to have a few lines of credit, never more than what you can afford to pay off on your income, and with none of them maxed out. Cancel old cards that you never use, but don’t max out one giant line of credit by putting your entire debt on it. Prove your self-control by having between two and four lines of credit with a minimal or no balance on each. It’s not your social security number, your phone number or your birth date. While most of us don’t know this number, it essentially dictates your finances. This number is your credit score. A credit score is a number that lenders use to help them decide, “if I give this person a loan or credit card, how likely is it that I’ll be paid back on time?” Also called a risk score, this number is a statistical measure of the risk that you’ll be able to repay the debt as agreed. If you’re planning on making a major purchase, taking out a loan or applying for a credit card, you’re going to need a good credit rating. If you’ve come to the realization that your rating isn’t as positive as you had hoped, and here’s your guide to getting started. If you have any questions regarding any homes for sale, or would like to schedule a tour of any real estate, residential or commercialin the Clear Lake Bay Area, please do not hesitate to call The Bly Team : 281-823-5775.